O’FALLON – The O’Fallon Public Library will be accepting submissions until Saturday, February 9th for their mascot friend contest. Originally, the contest was for 16 year olds and younger, but as of now the contest is opened to all ages. Jessi Baker, program and social media coordinator for the library, will be having Owlfred’s new friend show up with him on; contest posters, newsletters and maybe even around the library. “I came up with the idea with Edward, one of our Youth Services staff members, who also runs our Youth Art Club, because we saw how many people enjoyed our previous mascot contest. We thought it would be fun to see what creations our young patrons could come up with, so we decided the friend could be any animal, any gender, any name,” Baker said. Any submissions can be handed to the library staff at the help desks or emailed to Jessi at jessi@ofpl.info, or sent to the Facebook Page. 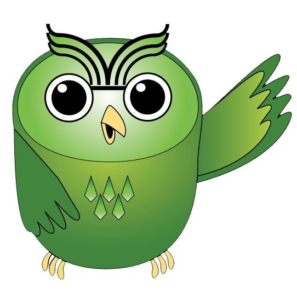 The winner of Owlfred’s new friend contest will be chosen by the staff of the library between the dates of February 10th through February 13th. Then will be unveiled at the library’s Valentine’s Day event.